With Spring (hopefully) in sight, now is the time when home-owners look at making changes and improvements to their properties. Thompson Smith and Puxon Residential Property Lawyer, Laura Finnigan, discusses some common projects. However, any new structural opening between the conservatory and the house will require building regulations approval, even if the conservatory itself is an exempt structure. Adding decking to your garden? This does not usually require planning permission either as it is also classed as permitted development. This is provided that the decking is no more than 30cm above the ground and that, together with any extensions, outbuildings etc., the decking covers no more than 50% of the garden area. Building regulations approval should be assumed to apply to every decking installation requiring planning permission. New roof? If you want to carry out repairs on or re-cover less than 25% of the area of a pitch or flat roof you will not usually need to submit a building regulations application. However, if you carry out any structural alterations or the performance of the new covering will be significantly different to the existing covering in the event of a fire, or you are replacing/repairing more than 25% of the roof area (in which case the thermal insulation would usually have to be improved) then building regulation approval will be required. People often think that replacing roof coverings does not require any permissions. However, if you re-roof the majority of your house, a building regulation approval will be required. Replacing cladding or other external finishes? No planning consent is required if you wish to redecorate the outside of your property (subject to exceptions, for example, where a listed building consent may be required). If you want to re-render or replace timber cladding to external walls, building regulations may apply depending on the extent of the work being undertaken. There 25 per cent or more of an external wall is re-rendered, re-clad, re-plastered or re-lined internally or where 25 per cent or more of the external leaf of a wall is rebuilt, building regulations would normally apply and the thermal insulation would normally have to be improved. This means that a building regulation approval is required for these works. The Planning Portal provides a list of “common projects” and details for which consents are required in specific circumstances. 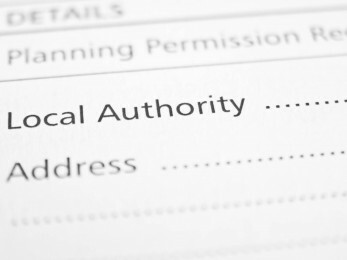 Often, however, a telephone call to the local Planning Officer and/or Building Control Officer at your Local Authority can also help to clarify whether or not you need to obtain any permissions.